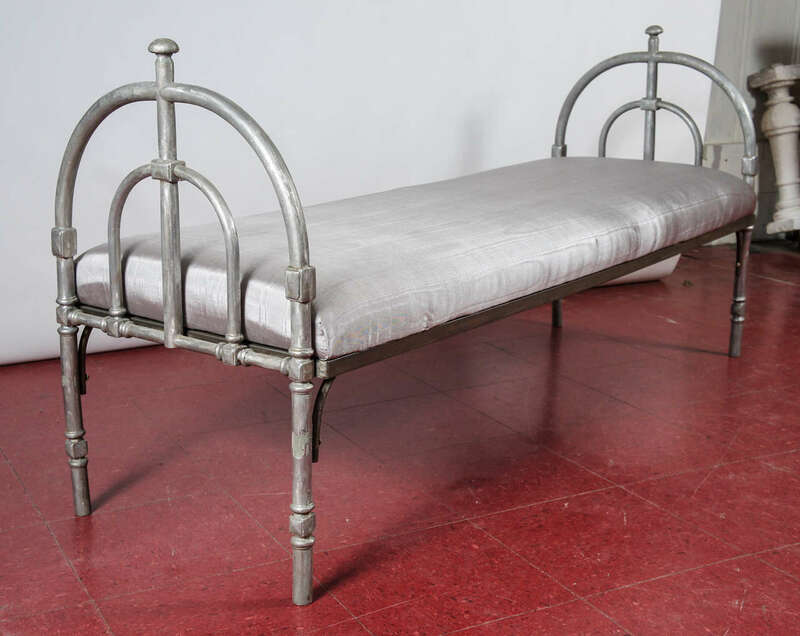 Metal bench frame with silver moire upholstered cushion. 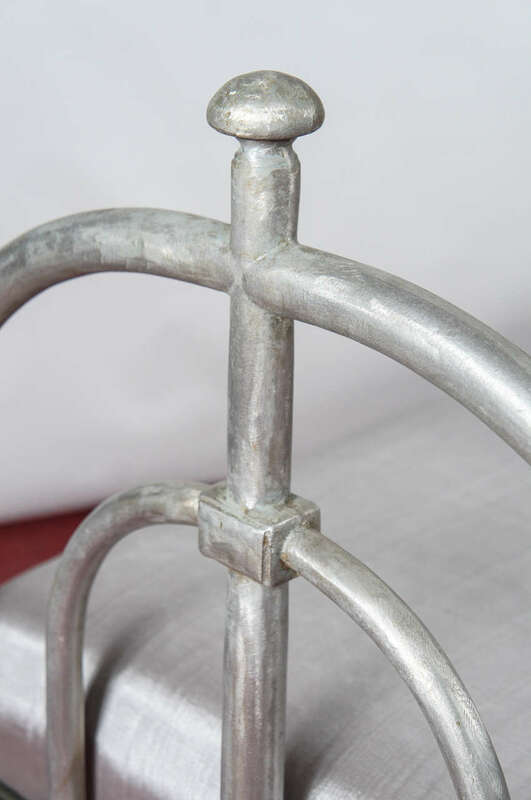 Perfect for foot of the bed or entry foyer. 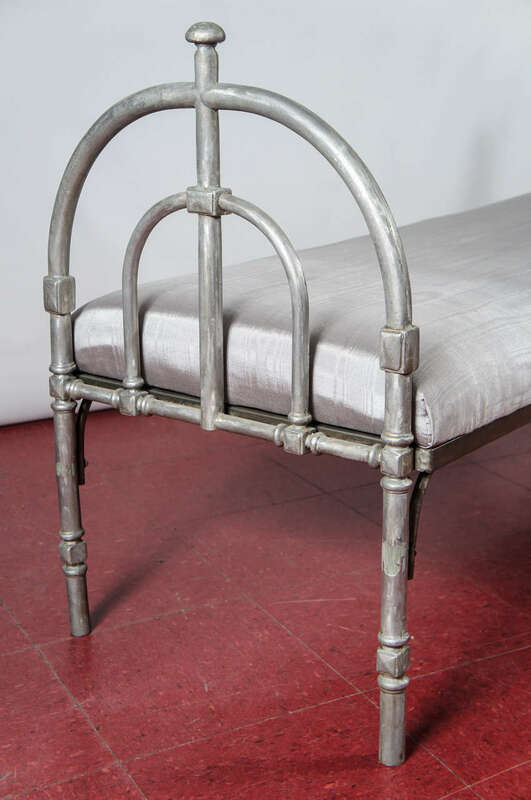 Metal bench frame with silver moire upholstered cushion. 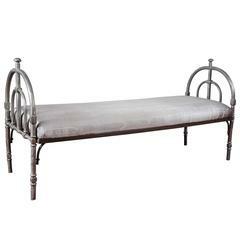 Perfect for foot of the bed as bed bench or entry foyer bench. 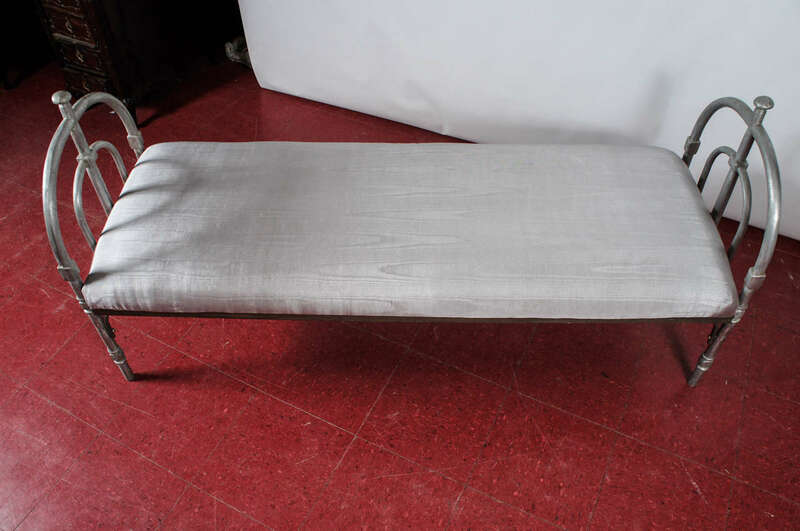 Metal bench with upholstered seat in your fabric or we can provide. 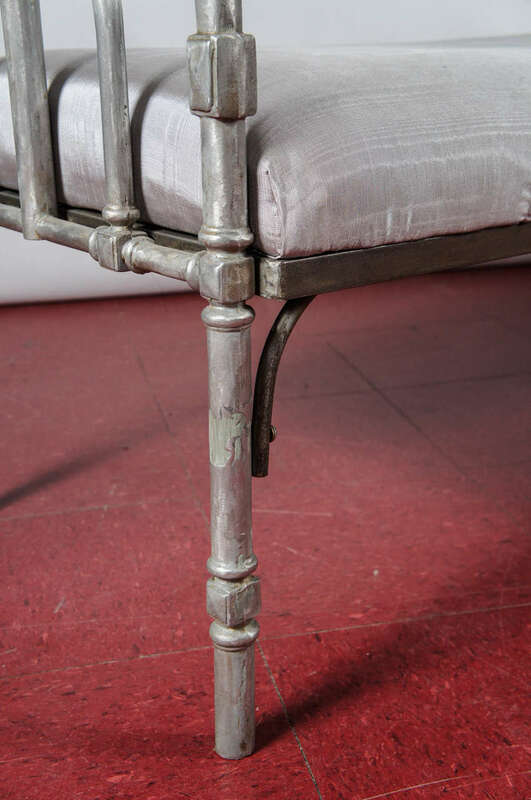 Perfect as vanity stool or entry hallway bench. We can size it to your needs. Different finishes available. 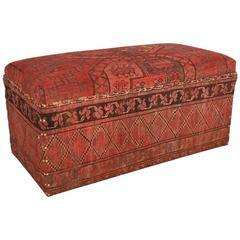 The padded contemporary bench or ottoman is upholstered with antique mideastern carpet. Great as coffee table or use at foot of bed. A long ottoman bench with sturdy turned legs covered in a vibrant woven chenille textured fabric with turned legs. 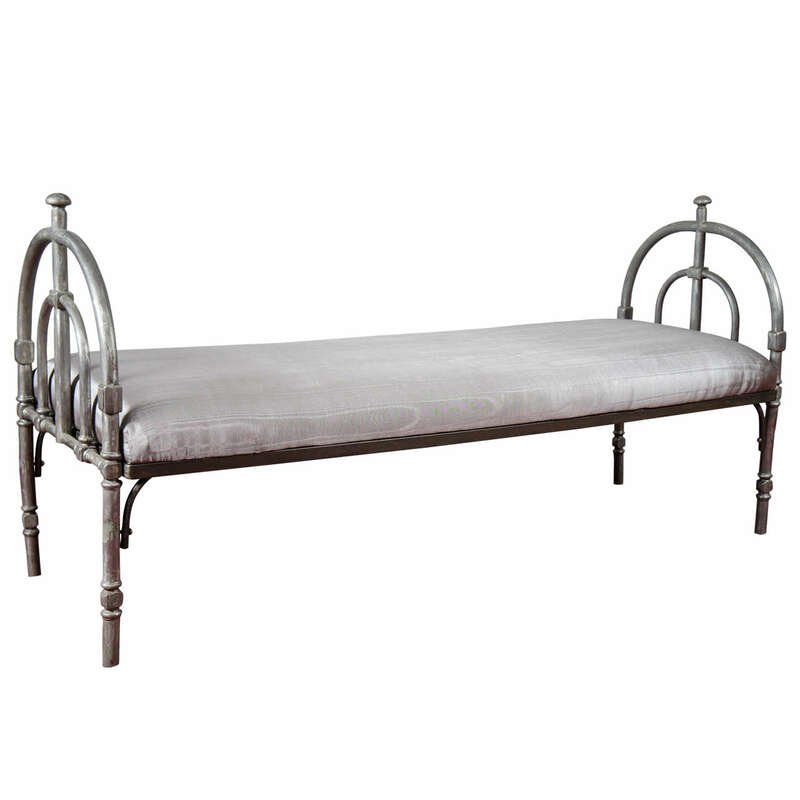 Lois XV style upholstered walnut bench in rose colored velour. Black walnut and steel meet to form a continuous base for this bench / ottoman with a custom upholstered top. Fabric choice can be fully customizable. 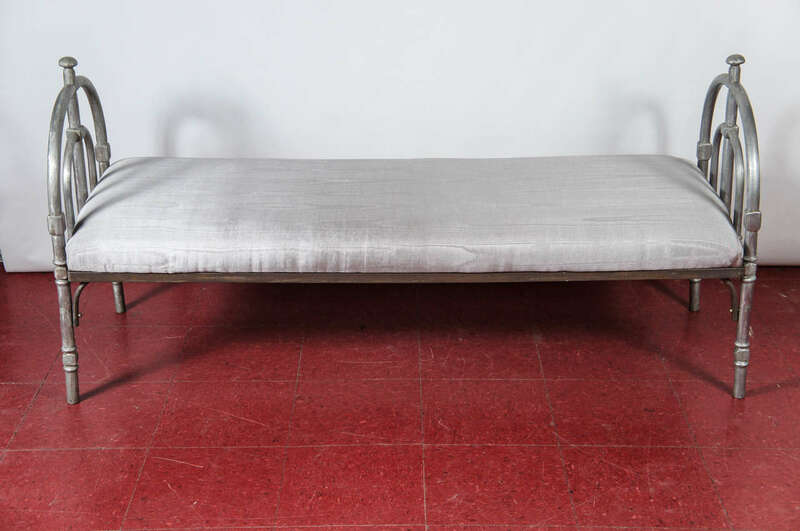 Large polished brass Greek key upholstered bench. The heavy brass frame supports the newly reupholstered biscuit tufted top which is in a rich chocolate brown velvet fabric.